Another weekend is here and if your week was anything like mine, you definitely deserve the break after what seemed like one of the hottest weeks we have seen in a long time in Nigeria. As hot as the weather was, the African music industry was even hotter this week. The #FvckYouChallenge keeps getting hotter as disses keep flying left, right and centre. From the South African music scene to Ghana to Tunisia and even a Nigerian/Ugandan collaboration, we have compiled all the good music you may have missed while keeping up with the #fvckyouchallenge. The Limpopo king is back again. Nigerian musician Kcee who is set to release his third studio album titled “Eastern Conference” has given us a glimpse of what we should be expecting from him with this new single titled ‘Doh Doh Doh.’ The song was produced by ace record producer – Blaq Jerzee, mixed and mastered by STG. Nigerian queen of Afro-House Niniola taps on prolific record producer Sarz to deliver this smashing song. The song which has got potentials to buzz speakers is titled “Designer” and its befitting video was directed by Sesan. As usual, she delivered her lines with dance moves that will make you jump out of your seat. Nigerian musician Harrison Tare Okiri popularly known as Harrysong was not taking it slow as he dropped his second single titled ‘Chacha.’ This is the usual highlife tune that we have come to know Harrysong for. Ghanaian dancehall artiste Shatta Wale presents his brand new single titled ‘Aye Halfcast’ produced by Paq. This tune has every potential to be a street banger and is sure to be on every DJ’s rotation this summer. The Tunisian progressive oriental metal band Myrath have their fans screaming out their lungs with this track titled ‘Born To Survive.’ This is the third single off their Shehili Album scheduled for release on May 3rd. The song captivates through its heavy rhythm and Andalusian influences without compromising on the heavy metal sound. Mking his second appearance on this list, Alterplate records boss Harrysong went all the way to Uganda to collaborate with one of the country’s finest reggae artists and Gagamel Entertainment signee, Bebe Cool. The result is ‘RnB,’ a piece of feel-good music as produced by Dr Amir. 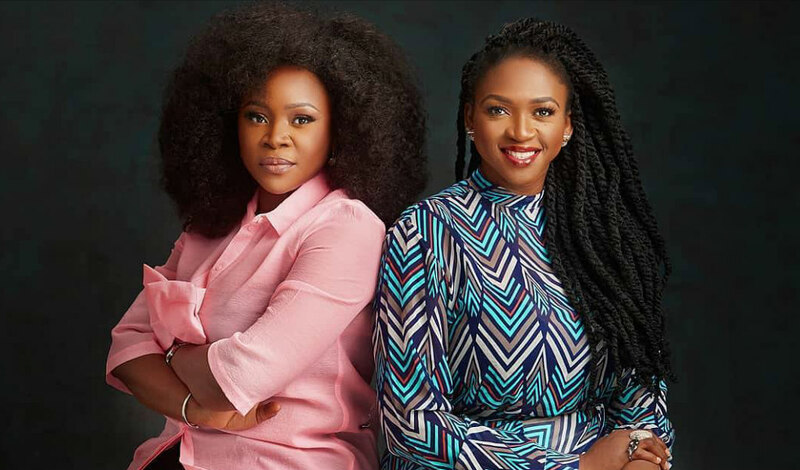 When two top Nigerian female vocalists come together, the result is the explosive sound which they have titled ‘She Is.’ The track, which is produced by SizzlePro happens to also be the official soundtrack for the movie with the same title. The debut movie by Waje and Omawumi is a captivating one centred on the life-changing decision of a determined hero. Taken off his 2018 Controversial Kwaito album called “Sweet and Short,” South African Family Tree Boss, Cassper Nyovest made his 2019 debut with this lovely vibe titled “Move For Me” featuring fast rising vocalist Bokasie. The slow tune will definitely get you off your seat as you whine to its rhythm. South Africa’s veteran house queen DJ Zinhle returns with new music featuring rising act Bonj. The soulful and deep house music also marks her first release of the year. She released the track without hinting her fans on social media but the ladies did justice and the fans love it!